In order to meet the needs of different markets, more than a few live gaming providers have developed an assortment of Live Roulette games hosted by native speaking dealers. They’re meant to accommodate players less than fluent in English, as one is likely to enjoy the game more if they can fully understand what the croupier is saying and easily communicate with them via frequently provided Live Chat option. Native speaking dealer solutions help enhance the illusion of playing at a local land-based casino rather betting on a table located in another part of the world and catering to anyone with an internet connection. Though Evolution Gaming offers by far the biggest range of native Roulette variants coupled with an excellent streaming quality and exceptional game interface, their products are not the only ones available to players looking for a dealer who communicates in a language other than English. Vivo, Ezugi, NetEnt, Extreme Live Gaming, Playtech and BetConstruct have all recognised the need for customising their live dealer games and subsequently employed croupiers originating from different markets. Best option for all Spanish speaking players. Casino Estrella also accepts Bitcoin deposits. Mr.Green offers live roulette + blackjack with German speaking dealers. Play in Bitcoin & Bitcoin Cash with an anonymous account. Live Roulette with Spanish speaking croupiers is offered by multiple providers and includes PlayTech and Evolution Gaming at live casinos holding a licence to operate in Spain. Ruleta En Vivo by Evolution Gaming plays with a European, single-zero wheel. Players can choose between classic and 3D view, the latter making it look as if chips are being placed directly on the physical table. User-friendly menu offers access to video and audio controls, player’s own history, and game rules. Betting has been made easy by including a Racetrack, offering the option to place special bets and save your favourite ones, as well as providing detailed statistics covering the last 500 rounds. The game is hosted by energetic and outgoing Spanish-speaking croupiers who are typically well-trained and professional. At Mr. Green Live Casino, one can place bets ranging from €0.50 to €10,000. Vivo’s Spanish Roulette, hosted by a smiling and welcoming native croupier, plays from a multi-table environment resembling that of a brick-and-mortar casino. Video feed occupies the entire screen, with all game controls, except for those related to betting, positioned at the very top. This is where you can double-check game rules and limits, displays statistics, adjust volume, and manipulate settings to auto-confirm your bets or decide to leave the last winning one on the table. The menu additionally offers buttons for launching Live Chat and reporting potential issues. You’ll find the traditional betting layout superimposed over the physical table and a Racetrack offered as an alternative tool for placing one’s wagers. Hover your mouse over individual numbers or areas and you’ll be able to see respective minimum and maximum bets. Streaming quality is decent enough though not quite up to Evolution’s standards, with the dealer’s voice occasionally difficult to hear. Live Spanish Roulette by Ezugi plays out of a studio featuring multiple tables occupied by ladies dressed in red and black outfits. Depending on their temperament, they’ll be active in trying to engage you in a conversation or limit their contribution to announcing betting periods and outcomes in a soft voice. Digital betting area is, as usually, displayed on the right-hand side, and options to double, undo your bet or re-bet offered at the bottom. Menu provides access to statistics and other in-game options, with dedicated buttons allowing players to turn the volume up and down, adjust video quality, and pop over to the Lobby to see other available games. Ezugi’s Spanish Roulette available at Casino Extra accepts wagers as low as €0.25 and no bigger than €1,000. Evolution’s Deutsches Roulette offers classic, 3D and immersive view. The latter uses multiple camera angles to deliver a range of different views and close-ups of the spinning action. Both the traditional betting layout and the Racetrack are positioned below live feed, and additional betting options provided via buttons in the bottom right corner. They’ll allow you to save your favourite bets and place special ones such as Finale En Plein, Finales A Cheval, and Complete Bets. Advanced statistics overview might help by allowing you to see outcomes of the last 500 rounds displayed via easy-to-read layouts. Live Chat option is a standard Evolution feature which enables you to communicate with your German host. Smartly dressed dealers are not necessarily as talkative as their Spanish colleagues, but they’ve passed through equally strict recruitment process and received the same in-depth training. Join them at Mr. Green Live Casino and you’ll be offered to bet between €2 and €5,000. NetEnt’s native German Roulette features simple yet attractive layout with video feed positioned on the top half of the screen and digital betting area occupying the bottom part. Though no other tables can be seen, one can hear typical casino noise which creates the illusion of playing at a real, physical casino. Concise overview of past results is continuously displayed on the right-hand side, while a simple menu positioned at the very bottom provides access to game settings, paytable, rules and history. Players are offered to save their favorite bets and place special ones with the help of a Racetrack. NetEnt consistently delivers their games in HD video quality comparable to that of Evolution Gaming, and provides equally professional dealers, the kind one would expect to find in a classy land-based establishment. Playing the game at Unibet Live Casino allows you to wager between €0.50 and €75,000. Ruletka Live is a native Russian Roulette developed by Evolution Gaming. It comes complete with all of the developer’s standard features, including an intuitive interface with game settings and rules, Live Chat functionality, multiple bet placement options, and impressively detailed statistics. Players can view hit frequency of individual numbers displayed with the help of a wheel-shaped chart, see percentages of Red / Black, Even / Odd, and High / Low ones, and check results by columns, dozens, and special bets. Russian-speaking dealers will answer your questions and address comments given via Live Chat window, there’s a lot of variation in terms of how active they are in trying to start a conversation. Ruletka Live at Mr. Green accepts bets of €0.50 to €10,000. Royal Casino Roulette is one of Ezugi’s game variants streamed from brick-and-mortar casinos located in different parts of the world. This one broadcasts from Royal Casino in Riga, which is why you’ll hear Russian voices in the background even if your own croupier won’t utter a single word. HD cameras placed above the table offer a birds-eye view of the entire set-up. Wagers are made on a computer-generated betting table and a Racetrack superimposed over the live feed, easily hidden to get a good view of the spinning wheel. There are three video quality options to choose from and a range of buttons allowing you to adjust sound volume, view game rules, and see the outcome of last 10 rounds. While placing the table in a land-based casino adds to the authenticity, it makes it impossible to communicate with the dealer, which some players might mind. Royal Casino Roulette table features minimum and maximum limits of €0.25 and €1,000 respectively. Turkce Roulette is Evolution’s native Roulette hosted by Turkish-speaking croupiers. Players are offered to pick between classic, immersive and 3D view, adjust video quality and volume, read through detailed game rules, and access public Live Chat or request live support. Evolution Gaming typically provides a number of different ways to place one’s bets. You’ll be able to do so by using computer-generated images of a traditional betting table or that of a Racetrack, use the option to save your favourite wagers or place special ones including Complete Bets. An advanced statistics overview will help you spot trends and decide on your own actions. Elegant Turkish dealers tend to be talkative and friendly while performing their task in a professional manner. Launch Live Turkish Roulette powered by Ezugi and you’ll be met by Turkish-speaking croupier seated next to a Roulette wheel minus the physical table. Bets are placed by using digital images of traditional layout and a Racetrack superimposed on the right-hand side. Overview of last 10 winning numbers is readily available on the left, and further details offered via Statistics button which will display individual number and area hit frequency for the previous 100 rounds. Players are offered to adjust video quality and volume, access game rules, communicate with the dealer via Live Chat window, and tip their hosts if they’re happy with their performance. Ezugi’s Turkish Roulette offered at Jetbull Casino features accessible limits of €0.25 to €50. BetConstruct is yet another developer offering Live Roulette game hosted by native Turkish dealers. The game features two table modes, one offering a classic layout and the other a Racetrack. Bet Building mode allows players to create their own special wagers and save them without having to stick to a particular time limit. Game interface additionally facilitates easy placement of special bets such as Finale En Plein, Snake Bets and Splits. Previous results are shown via a scrollable list of winning numbers on the left, and a more detailed statistics overview on the right. The latter resembles the one provided by Evolution Gaming, with diagrams and pie charts used to presents outcomes of the last 500 rounds. Broadcasting quality is well above average. Turkish-speaking dealers don’t seem all that interested in starting a conversation, though you might come across more active ones. If you’re pleased with how they operate, consider using the provided tipping functionality. Join the table at VBet Live Casino and you’ll get to place bets ranging from €0.50 to €10,000. Unibet Francais Roulette powered by Evolution Gaming is an exclusive European game variant hosted by French-speaking dealers. Don’t assume that being called French means the game uses La Partage rule, otherwise you’ll be disappointed to see your entire even-money bet disappear when the ball lands on zero. All the usual options typically found in Evolution games are accounted for. Players get to choose between classic and 3D view, see outcomes of the last 500 rounds, place special bets via Racetrack or a dedicated button, and save their favourite ones to reapply whenever they wish. Simple menu allows them to control video and audio output, access game rules, communicate with the dealer, and play on multiple tables simultaneously. French croupiers are apparently always in a good mood, frequently laughing and chatting to their colleagues if not players betting on their table. Francais Roulette features limits of €1 to €10,000. Evolution Gaming does the best job of catering to Scandinavian markets by providing multiple native Roulette variants, including Norwegian, Swedish and Danish. The first is called Norsk Roulette and streams out of a studio with a backdrop which makes it look as if playing at a casino in Oslo. Native dealers are quite chatty and highly entertaining, and one could envision them drawing players who don’t necessarily speak Norwegian but enjoy the atmosphere. Game interface has been made available in multiple languages and is extremely easy to use. Menu on top offers access to game settings, among which video and audio controls, game rules, Live Chat, and player’s history. The bottom part of the screen is dedicated to various betting options including the standard betting table, a Racetrack, Favourite and Special Bets, and Autoplay function. This is also where you’ll get to check past results going as far back as last 500 rounds. Join the game hosted by an outgoing croupier at Leo Vegas Live Casino and place wagers as low as €1 or as high as €10,000. NetEnt’s Norsk Roulette is also a European game variant which uses La Partage rule to halve your loss in case you’ve placed an even-money wager and the ball lands on zero. Though featuring modern look and feel, there’s no attempt to customise the game on top of supplying a native Norwegian croupier. Broadcasting quality matches that of Evolution Gaming and players are able to make adjustments to both video and audio outputs. Game interface additionally allows them to view rules and payouts, as well as display past results. Statistics is less detailed than that offered by Evolution and will let you see only the last 15 winning numbers with an overview of hot and cold ones. Traditional betting layout and a Racetrack are the only two wager placement options. No matter which dealer happens to be running the game, you’ll find them to be consistently professional, welcoming, and not excessively chatty. At Unibet Live Casino, NetEnt’s Norsk Roulette accepts bets of €1 to €75,000. Svensk Roulette is one of three Evolution’s native Roulette games developed for the benefit of Scandinavian players. Not only is it hosted by native Swedish dealers, it also uses the blue of the Swedish flag on multiple elements to further enhance the local feel. Croupiers are generally laid back but not quite as engaging as their Norwegian counterparts. Like the majority of other Evolution Live Roulette products, this one also offers a choice of two viewing modes, several video quality options, and user-friendly interface with access to game rules, Live Chat, numerous betting tools, and an advanced history overview. Players choosing to bet at Mr. Green are able to place bets of €0.50 to €10,000. Evolution’s Venezia Roulette, hosted by native Italian dealers, plays out of a studio populated by multiple tables which mimics land-based casino set-up. The game is presented complete with standard developer’s interface which you’ll find easy to manoeuvre the very first time you join the table. Buttons placed in the top right corner allow one to open Live Chat window, adjust video and audio output, and review game rules if needed. Those placed at the bottom offer an easy way to add another table or visit the Lobby. As is usually the case with all Evolution Live Roulette games, there is a number of different ways to place a wager. On top of the traditional betting table and a Racetrack, one can reapply saved bets or place special ones. Overview of past results can be displayed as a list of all winning numbers over the last 500 rounds, a wheel-shaped chart showing individual number hit frequency, and a percentage representation of Red / Black, Even / Odd, and High / Low outcomes. Although a constant yet discreet Italian chatter can be heard from the surrounding tables, croupiers hosting Venezia Roulette tend to stick to basics, such as announcing results and inviting players to place their wagers. Betting limits at 888 Casino range from €1 to €2,400. Extreme’s Italian Roulette broadcasts from a studio with a background image of a bar counter and multiple tables. It’s meant to make it look as if the game plays out of a land-based casino but doesn’t really deliver. One can choose between normal and Xmode view, turn live feed off entirely, and pick from several video quality options. We usually picture Italians as temperamental, outgoing and charming individuals but not all of those employed by Extreme match this perception. Some actually look as if thoroughly bored and wishing they were somewhere else. Discreet game interface allows players to choose from 15 different languages, pick an avatar, view their own history, access game rules, and chat with the dealer. Wagers can be placed by using digital image of the betting layout superimposed over the physical table, a Racetrack, or a list of previously saved favorite bets. Last 10 winning numbers is all the help you’ll get when trying to make a decision based on past outcomes. Live Italian Roulette table available at Mr. Green features limits of €1 to €5,000. Native Flemish Roulette is yet another one-of-a-kind provided by Evolution Gaming and developed specifically for the benefit of their Belgian fans. It comes complete with a choice of viewing modes, advanced statistics based on the results of the last 500 spins, and a user-friendly interface allowing easy access to detailed game rules, video and audio controls, Live Chat, and the developer’s Lobby. Players can try their luck with the help of a computer-generated betting table, place special bets by using a Racetrack or a dedicated button positioned at the bottom, or re-use one their previously saved wagers. 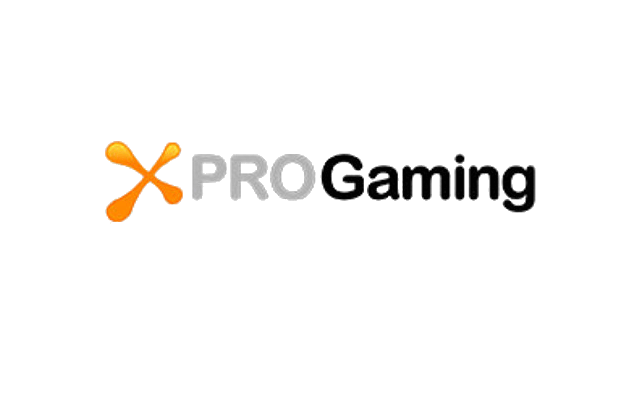 Near-perfect streaming quality makes sure the video will never freeze or get out of sync with the dealer’s voice and other game sounds, and properly trained and highly professional croupiers will easily communicate with the Belgian gaming community. Evolution Gaming is the only live dealer provider offering a native Greek Roulette table. The blue and beige used to decorate the studio are reminiscent of the Greek flag and at the same time gives off a Mediterranean vibe. Native dealers are fairly communicative, making sure to express a verbal welcome once you join their table. You’ll be offered to pick between 2 viewing modes, manipulate video quality and volume of game sounds and the dealer’s voice, review detailed rules, and open Live Chat window. Exceptional interface featured in all Evolution live games makes it possible to place wagers in a number of different ways, including the option to save favourite bets for future use and place special ones with a single click of a mouse. Greek Roulette playing at Mr. Green accepts bets ranging from €0.50 to €10,000. BetConstruct is an exclusive provider of Live Roulette game hosted by native Armenian dealers. Considering the country counts only 3 million inhabitants, one has to admire their commitment. Broadcasted in HD quality, the game plays out of studio using a backdrop made to look like a window offering a view of the country’s capital Yerevan. It features the provider’s standard interface which offers multiple options and functionalities, with bits of content permanently displayed rather than offered via collapsible windows. You’ll find table limits and detailed statistics covering last 500 spins to the right of the video feed, and all betting controls immediately below. History overview is not the only elements where BetConstruct comes close to Evolution Gaming. They are also offering players to do their betting in several different ways, including the option to save their favourite wagers via Bet Building mode and use dedicated buttons to place special bets. Armenian players can communicate with the dealer via Live Chat and offer them a tip as a thank you for game well played. Native Ukrainian Roulette powered by BetConstruct is a European Roulette with a single viewing mode and a choice of Classic and Racetrack table modes. Players can additionally wager by using their own betting patterns created via Bet Building functionality and place special bets like Finale En Plein, Snake Bets and Splits. One can also view game rules, set video quality to either VIP or high, and adjust volume of sound effects and the background music. Video feed occupies a small window in the upper half of the screen and shows the Roulette table positioned in an environment looking like an upscale hotel lobby rather than a casino. Native croupiers seem to be people of few words, though they will welcome you to the table and reply to questions posed via Live Chat window. Native Persian Roulette by BetConstruct plays exactly the same as their other native variants, the only exception being Persian croupiers which seem to be the most talkative among the developer’s non-English employees. Studio features coloured neon panels in the background and one can hear voices of dealers hosting other live BetConstruct games. Your croupier sits behind a wheel with no table in sight. The only visible one has been digitally created to facilitate bet placement and can be displayed either as a classic layout or a Racetrack. Game interface is equally helpful as the one used by Evolution Gaming; it provides multiple wagering tools, video and audio controls, as well as easy access to game rules and player’s own history. One can not only chat with the dealer but also tip them for services rendered. Evolution Gaming provides fully optimised mobile solutions accessible via iOS and Android devices either online or via Native Apps. Their mobile native game variants use the familiar interface with collapsible menus which will not obstruct the view of the table. We’d advise you to try playing Dansk, Norsk, Svensk and / or German Live Roulette at Leo Vegas via their awesome app. This is an operator which early on decided to focus on the mobile market and judged it convenient to build their own app, objectively one of the best around. It’s compatible with a wide range of mobile devices, including iPhone 5 through to X, Samsung Galaxy S6 to S9, a variety of Sony Xperia issues, LG smartphones, Microsoft Lumia and Blackberry. Mobile native Roulette powered by Extreme Gaming performs equally well on smaller screens. One can display the betting layout across the entire screen and drag small live feed window in any position they choose, or fully expand video to ensure good visibility of the spinning action. Control buttons have been moved accordingly but still remain easy to find and use. Try giving it a go at Mr. Green, the casino which boasts an award-winning app voted “2016 Casino App of the year” by the International Gaming Awards. NetEnt Touch makes the provider’s mobile Roulette just as easy and convenient to play as the desktop version. iOS and Android mobile devices will allow you to play the game in either landscape or portrait mode, easily expand or shrink live feed, and place wagers via scrollable betting table. Playtech also offers their mobile games in both portrait and landscape mode. Having intensively tested their mobile solutions with real players, they managed to construct an intuitive interface with easily accessible buttons and interchangeable views of the video and betting layout. Launch Vbet Casino via your mobile browser and you’ll find user-friendly version of each native Roulette game provided by BetConstruct. Wagering has been made easy by fully expanding the digital image of the betting table, with video switched on and off by simply clicking the camera icon positioned in the top right corner. All in-game options are neatly packed into a single menu button which offers access to mini Lobby, Live Chat an tips, table limits and statistics, game settings and rules. If you’re ready to test native Roulette games reviewed in this article, pay a visit to one of our recommended online casinos. At Mr. Green you’ll find a wide range of Evolution Gaming products, including Svensk, Deutsches, Dansk, Norsk and Greek Roulette, Ruleta En Vivo, Turkce Roulette, and Ruletka Live. The provider also offers Extreme’s Italian Roulette. Leo Vegas is yet another great choice for players looking to enjoy an authentic land-based casino experience offered by Evolution Gaming at Svensk, Norsk, Dansk and German Live Roulette table, Ruleta En Vivo, Ruletka Live, Venezia, Turkce and Greek Roulette. We’re equally happy to recommend Unibet which features Ruletka Live, Norsk, Deutsches, Svensk, Turkce, Greek and Francais Roulette, all powered by Evolution Gaming. This is also where one can play NetEnt’s Deutsches Roulette.